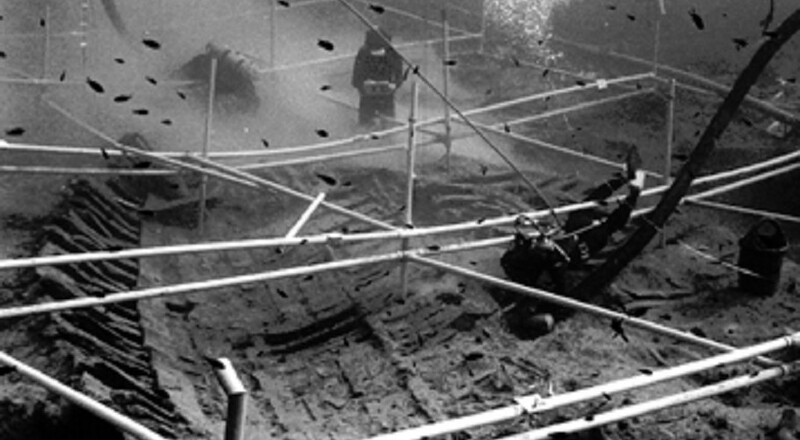 The Kyrenia shipwreck was first discovered in 1965 by town councilman Andreas Cariolou. 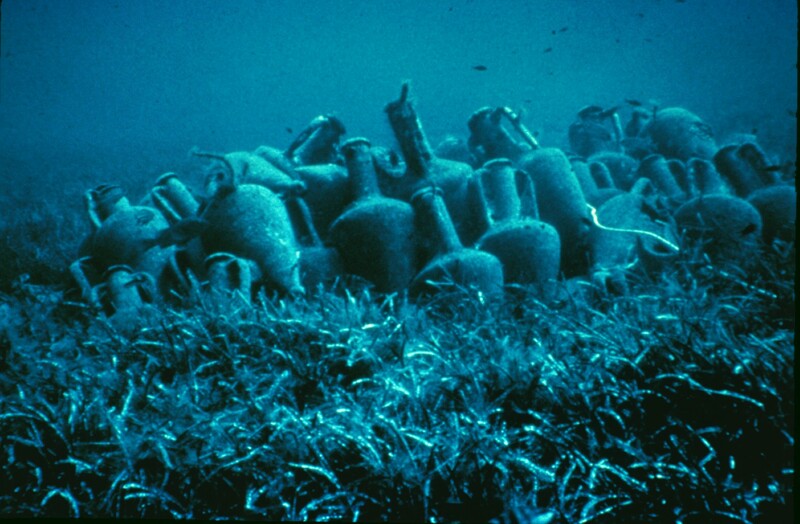 Cariolou, while diving for sponges, came upon a mound of 80 amphoras less than a mile from Kyrenia on the north coast of Cyprus. In 1967, Cariolou contacted Michael and Susan Katzev and guided them to the wreck which sat 90 feet below the surface. The University Museum’s excavation of the wreck spanned two summers from 1968 to 1969 and recovered cargo, dining wares, tools, ship’s rigging, and even four bone eyelets from a sailor’s sandals. The vessel itself was a Greek merchant ship and had a cargo of as many as 500 amphoras which belonged to ten different shape types. Most of the amphoras were Rhodian in origin and date to the final third of the 4th century B.C. The site extended about nineteen meters in length and ten meters wide. 27 stones for hopper-type grain mills had been stacked in three rows along the axis of the ship to serve as ballast. Early in the season small fragments of thin lead sheets with bronze tacks were also found, and later, larger sheets were uncovered, indicating that the Greek ship had been covered in a sheathing of lead to protect its hull against marine life. A large portion of the hull was preserved. The remaining hull was raised, conserved and reconstructed. The reconstructed hull was 14 m in length and 4.2 m in beam. Conservation of the raised artifacts took place between 1969 and 1974. Katzev, Susan Womer. “Resurrecting an Ancient Greek Ship: Kyrenia, Cyprus,” in “Beneath the Seven Seas,” edited by George F. Bass, pp. 72-79. New York and London, 2005. ABOVE: Amphora mound prior to excavation (Photo: INA).